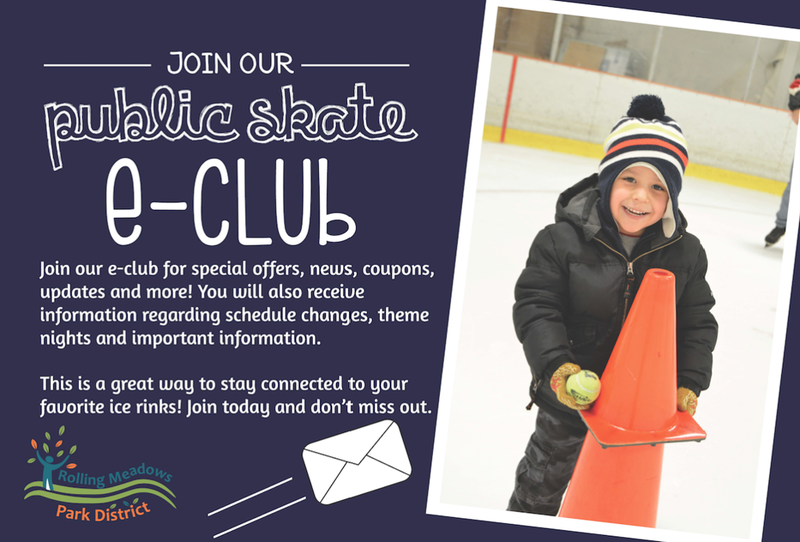 Come enjoy our popular Public Skate sessions at the Rolling Meadows Nelson Sports Complex Ice Arena. Our affordable pricing and fun atmosphere are perfect for both beginners as well as the more experienced skater. With themed music nights, walking aids to help beginners and experienced guards to ensure your safety Rolling Meadows Public Skate really is the COOLEST place in town! Please make sure to always check our public skating calendar as days and times may change due to holidays, tournaments and other special events hosted by our ice rinks, thanks! As the lights go off the excitement level goes up! Our Cosmic Skate is every Friday Night with special added feature of colorful and neon lights! ©2019 Rolling Meadows Park District Skating Program / SportsEngine. All Rights Reserved.